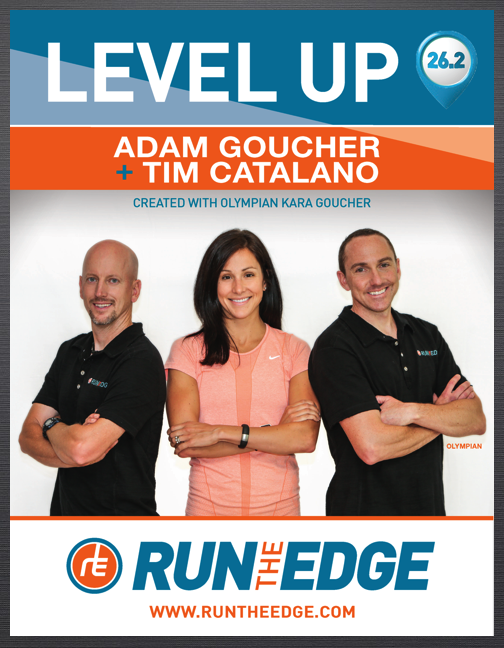 Have you seen the new Level Up Training System by Run the Edge? 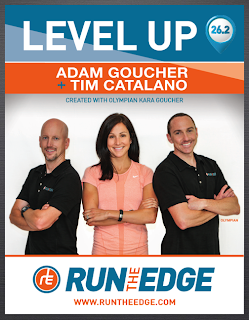 Level Up was created by Run the Edge co-authors Adam Goucher and Tim Catalano who enlisted the help and expertise of Kara Goucher to help create and design the workouts for the Half and Full Marathon Plans. When I saw the tweet looking for running bloggers to review the Running Start Program, I immediately contacted Run the Edge. I received a quick response that made me smile since they wrote: "We checked out your blog and it looks great! Twins run in our family is a clever tag line. Go team Lemon!" I also received a link to a free copy of the Running Start Program. This program is designed for beginning runners but Level Up features a range of plans including those designed to help runners (like me!) who want to qualify for the Boston Marathon (Ultimate 26.2). This training plan was very appealing to me since I'm the slower 1/2 of @TwinsRun who prefers to #RunAndTweet rather than obsess about pacing and racing. I have many friends who are interested in starting to run but are intimidated by complex training plans. I'd highly recommend this program for new runners who don't know where to begin. This is an easy-to-follow program with lots for the beginning runner. 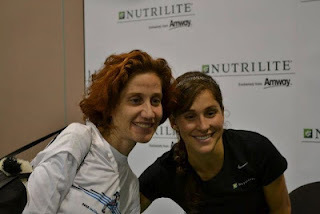 Leah, the BQ x 2 faster 1/2 of @TwinsRun, may disagree with this problem identified by Run the Edge but I fully agree! ;-) "Traditional training plans are boring. Spreadsheets are for accountants NOT RUNNERS." I'd recommend Level Up for beginning runners who prefer more fun in their run. Below is information from the Run the Edge website. THERE IS A RUNNER IN EACH OF US! The most comprehensive, motivating, and entertaining training program on the internet guaranteed to get you up and running! These first six levels are designed to take you from running zero to 5K hero! Everything you need to know to get a successful start to your running. This training plan is designed to have you running 30 minutes without stopping and to the finish-line of your first 5K. It is the base you will need before you begin any of the other training plans. A letter from us (Adam and Tim) welcoming you to our “Level-UP” training system and motivating you to get started. You can’t read this letter and NOT want to run! Our monthly newsletter will keep you motivated, educated, entertained, and inspired! All of our plans are downloadable and yours to keep. No need for monthly charges or hosting on our server. They are fully functional on your computer. See our FAQ Page here for more questions.